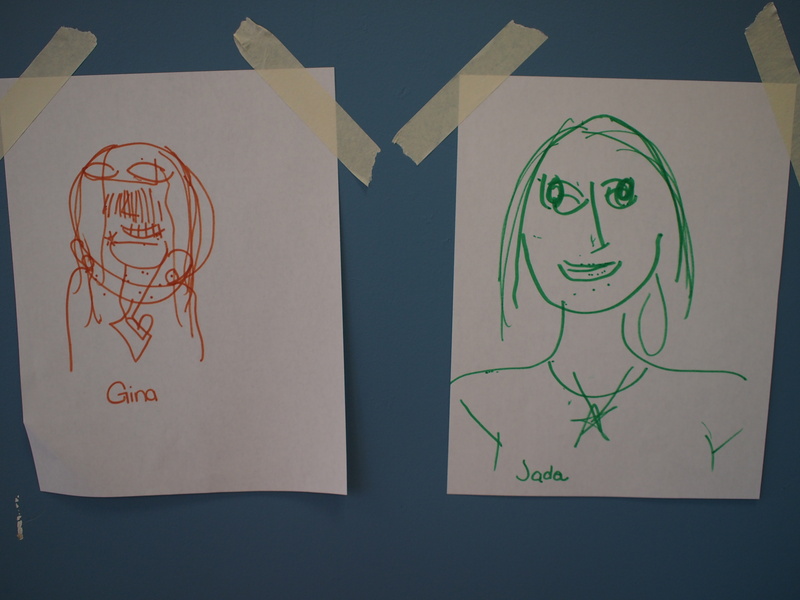 Like teacher, like student: partner portraits. I had originally envisioned this post as a first-day-activity suggestion, but now the first days of school have pretty much passed. Then I realized there’s another purpose to sharing it. At the beginning of last school year, we did a fun little activity during one of our PD days. You sit across from a partner, paper on the table and markers in hand. 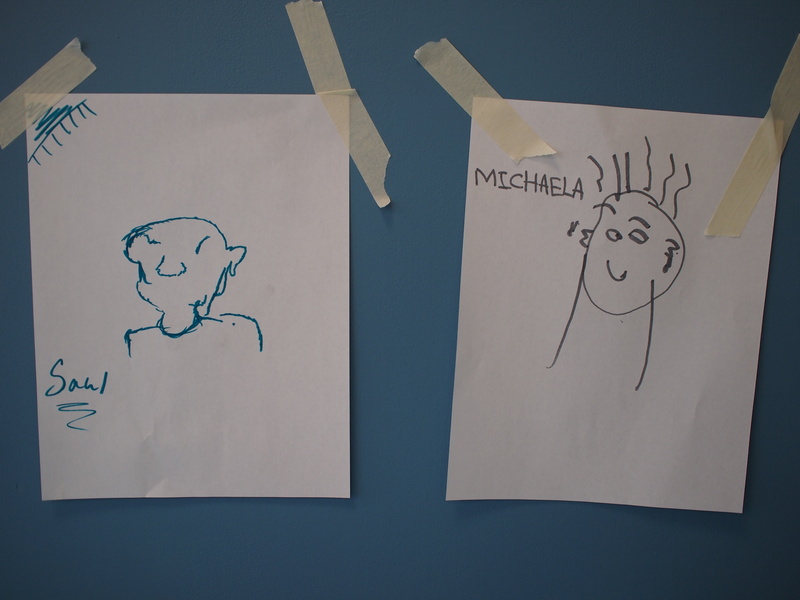 You then have one minute to draw a portrait of your partner. The catch? You can’t look down. I totally forget who on staff presented this activity; kudos to them. Ostensibly it was shared as a “you can do this with your kids” sample. But the key thing was that we enjoyed doing it ourselves. As teachers, I would argue that we have an even lower tolerance for crap than our students — if it’s insincere, or pointless, or boring, our alarms go off right away. Talking to teachers around Philadelphia, I heard plenty of stories about new initiatives, slogans, or activities that were being handed down to teachers at the beginning of the year — stuff that has been developed and tested and standardized for maximum effectiveness… and that you know in your bones kids aren’t going to buy into. If it doesn’t have legs in the teacher’s meeting, it is destined to fail in the classroom. I kept the partner portrait activity in the back of my mind for a while, and then we busted it our with our new freshmen advisees on the first day of school. An awkward first hour melted away to instant laughter. This entry was posted in Curriculum, Ethic of Care, Professional Development, SLA on September 19, 2012 by lpahomov.